LIMITED TIME PROMOTIONAL OFFER ! - [PocketTactics] 4/5 : "I cannot recommend it enough." 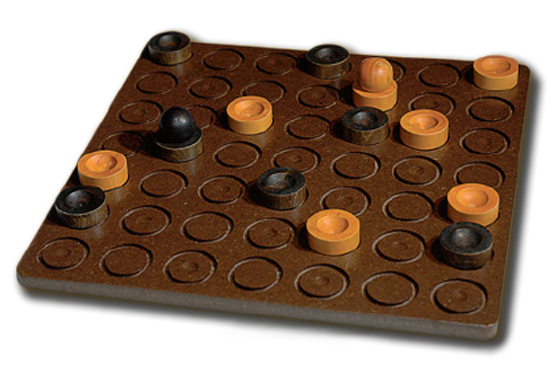 - [iPadBoardGames] 7/10 : "Perfect for quick matches on your own or with a friend, it will sit happily in your collection." - [BGG iOS] 3/4 : "Diaballik is a simple game, but it is its simplicity that allows it to succeed. Really the only thing you are missing is the tactile feel of the pieces themselves." An iPhone/iPad version 2.0 will be available soon on the Apple Store. The happy owners of iPad version 1.0 will be able to enjoy free. Since today, to celebrate this, the price of the application was lowered from 4.99 to 3.99 USD. This price will be maintained until the end of the year. To mark the release of version iPad, the site has been rejuvenated.